AUSTIN, Texas - A U.S. appeals court Thursday allowed Texas to immediately begin enforcing tough new abortion restrictions that will effectively close all but seven abortion facilities in America's second most-populous state. A panel of the U.S. 5th Circuit Court in New Orleans stayed a lower judge's ruling while it considers the overall constitutionality of key portions of Texas' sweeping 2013 abortion law, which Republican Gov. Rick Perry and other conservatives say is designed to protect women's health. 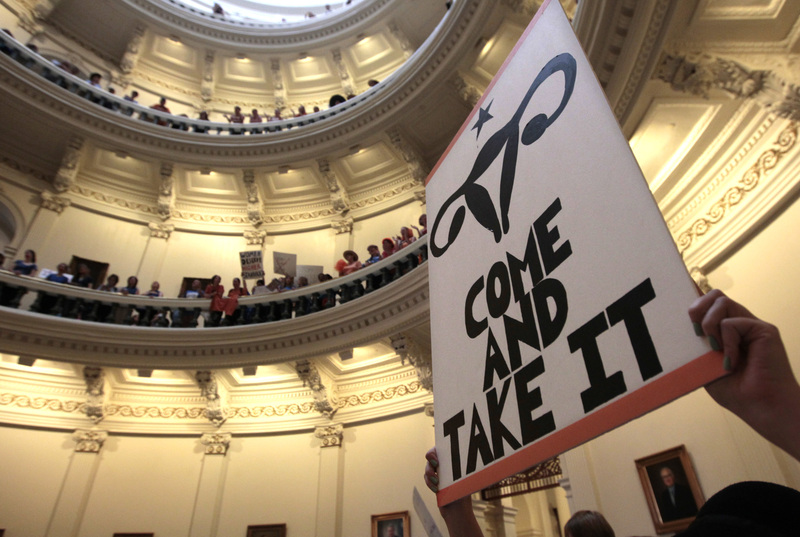 The trial in Texas is the latest battle over tough new abortion restrictions sweeping across the U.S. The office of Texas Attorney General Greg Abbott, a Republican who is the favorite to become governor in November, is leading the defense of the law. Clinics call the measure a backdoor effort to outlaw abortions, which has been a constitutional right since the Roe v. Wade ruling by the U.S. Supreme Court in 1973. U.S. District Judge Lee Yeakel ruled in August that part of the law requiring Texas clinics to spend millions of dollars on hospital-level upgrades was less about safety than making access to abortion difficult. Yeakel's ruling in Austin suspended the upgrades requirement. But Texas is appealing, and asked the appeals court to let it enforce the law during that process - clearing the way for the panel's ruling. Allowing the rules to go forward on hospital-level upgrades - including mandatory operating rooms and air filtration systems - would shutter more than a dozen clinics across Texas. It means only abortion facilities will remain open in the Houston, Austin, San Antonio and the Dallas-Fort Worth areas. None will be left along the Texas-Mexico border or outside any of the state's largest urban areas. Meanwhile, some clinics have already closed after another part of the 2013 law required doctors to have admitting privileges at nearby hospitals. That portion of the law has already been upheld by the 5th U.S. Circuit, where the state is now seeking a second outright reversal. Democrat Wendy Davis launched her campaign for governor behind the celebrity she achieved through a nearly 13-hour filibuster last summer that temporarily blocked the law in the state Senate. Her opponent in November is Abbott.